Gillespie Associates senior team members share core beliefs about adult learners, evidence-based training methodologies, and the importance of teamwork. This foundation means we can count on each other, and you can count on us. Her engineering background taught Nancy how to analyze a problem, seek a solution, and quickly learn difficult-to-grasp information. And her experience working for a large company gave her insight to glean the real issue behind a client request. When taking network engineer certification classes, she noticed that the training company employees looked like they loved their jobs and were having fun and Nancy was fascinated by the learning process. That’s when she was approached by the facilitator and asked if she ever considered training people. Making a gut decision, she took the job and never looked back. Nancy’s rare ability to see beyond a client's immediate issues and perceive the bigger picture plays no small part in all the roles she holds today at Gillespie—consultant, client manager, project manager, and senior designer and developer. Michelle loves to learn. As you can see by her list of degrees, she hasn’t met an educational opportunity that she didn’t like! But it was her job managing the Kinkos computer service department that made her realize how much she also loveshelping others learn—how to make an aesthetically pleasing poster or explain a ten-year gap in employment history on a resume. 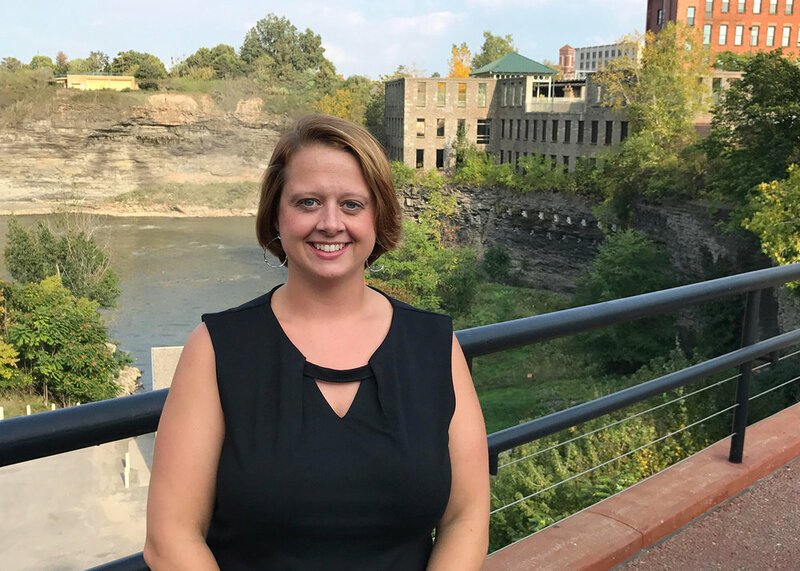 She took that love of helping others better themselves and ran with it right into a career in instructional design and professional development. From there Michelle launched herself into leadership at Gillespie Associates. As Chief Development Officer, Michelle develops people through the creation of great learning objects, develops expertise through learning all she can and sharing that knowledge with colleagues (and really anyone who will listen), and develops the Gillespie brand by promoting our expertise in learning and performance. Working as a quality improvement manager got Geoff thinking about human performance, its role in quality, and training as a solution. He began running classes to improve quality and safety, fueled by the desire to help people grow and be good at their jobs. And when the opportunity presented itself to run a company devoted to helping other businesses grow and succeed, Geoff jumped on it. Which is how he eventually wound up becoming CEO of Gillespie Associates. As an OD consultant, Karen has over 30 years of corporate experience in group dynamics, culture change, leadership development, strategic planning and consulting with executive women. She saw a clear connection between her work in OD and the work we were doing at Gillespie Associates. Together we’ve been able to address performance issues from multiple directions. An artist at heart, Karen applies her creativity to helping people and organizations grow and change. It was during her first college accounting class for her business/pre-law track, that Nikki decided accounting was her passion. Her love of how numbers tell a story made her the perfect fit for Gillespie Associates and our love of stories to drive learning. For Nikki, numbers describe the past, present, and future of a company through the reports that she finds such fun in analyzing. A career path that included billing clerk, accounting manager, and accounting analyst led her to Gillespie Associates when she wanted to find an organization that would embrace her passion for accounting and provide her with the work/life balance she desired. Nikki’s work analyzes and organizes the story that is Gillespie Associates, so the rest of us can keep writing stories to reach new learners. Five years ago, Geoff reached out to a smart and savvy writer for an eight-month engagement. Angie was such a great fit for the team and the work was such a great fit for Angie, that she’s been with us ever since! Angie loves technical writing because it presents her with the opportunity to learn new things. She now knows all about blood analyzers, blood typing, and chemistry, among other things. Once she’s learned something new, she likes the challenge of taking that information and turning it into documentation that a user can understand. And she is very good at doing just that!